On the day we decided to head to the Lagomarsino Canyon Petrogylph site, we really didn’t know what to expect or exactly where we’d find them. 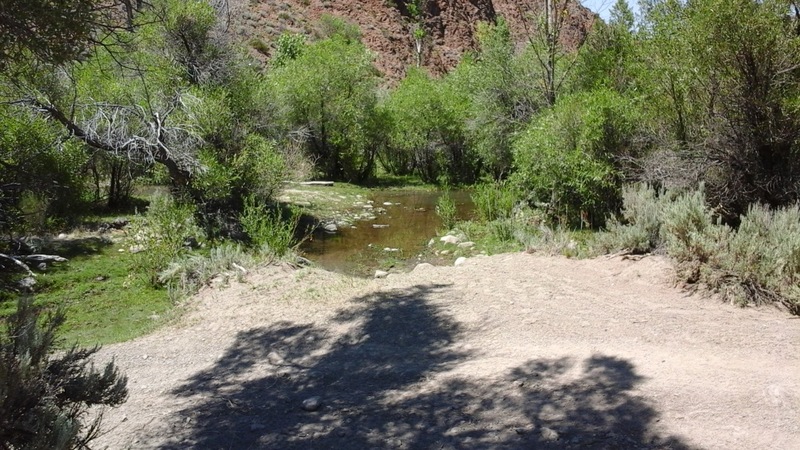 Our journey was filled with a bit of rocky terrain and a couple of washed out roads. Yes, even in the Nevada desert which looked more like a lush forest in this area. When we arrived, we were met by a gate – the kind you’d see that allows someone into a typical high school playground – big enough for one at a time. As you can see from the two photos, the carvings were done by ancient people who lived thousands of years before us. We were shocked by the simplicity of each one. We spent some time there taking various pictures of the engravings and the beautiful surroundings. It was a picture perfect weather day – the sky intensely blue. As I reflect on the observation of these and the location, I questioned the purpose of the engravings. While we do not yet know what each means, we can gain a sense of why people choose to create art that speaks to a possible future that our bodily remains cannot. 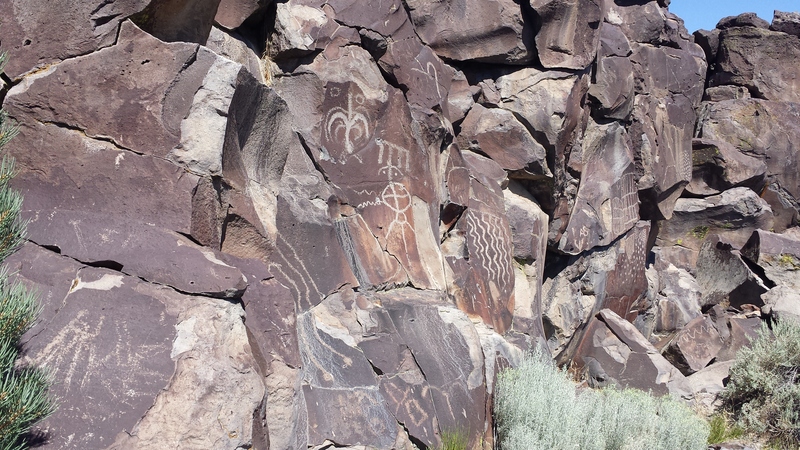 It seems these petroglyphs are speakers, the recordings of a life or many lives. Digging into rock is an incredible feat. Ever try it? It’s darn near impossible unless you have the correct tools. Imagine how long it took to engrave such intricacies into this material. Speaking of material, anyone would have to use what is readily available to make his mark on the world – to leave behind a legacy or story. Do you leave behind your own form of depictions? Do you speak from your chosen medium, say poetry, story-telling, music, writing, or do you communicate in hieroglyphics which need interpretation? Are your signs so encrypted no one understands them? Perhaps the answer is the same for the very primitive shapes made upon the rocks. Too intricate, and the image is spoiled due to a lack of space and possibly unreliable carving tools. Too simple, and your idea may be better explained in words. I’ve thought of the process of these particular carvings and wondered if in fact these were done with an accompanied tale of their reality or just something made up. 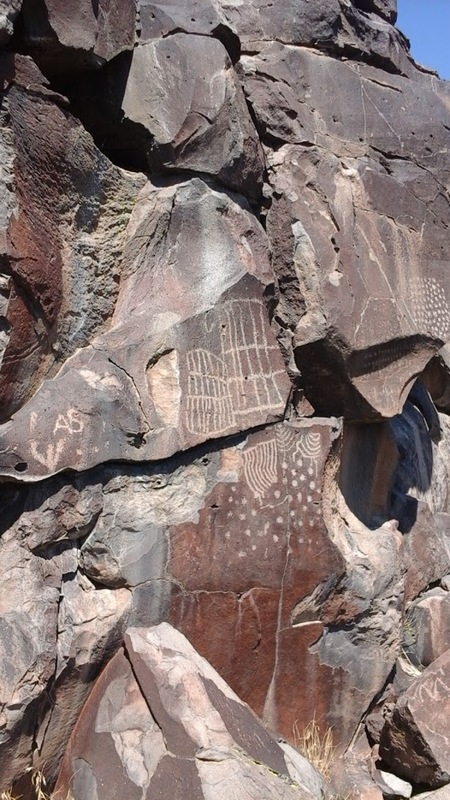 One of the pictographs is clearly an old man, but just underneath is a more rounded humanoid figure possibly holding a laser gun. So next time you’re thinking of leaving a legacy, think of impact you would like to have on those in the future. Do you want your story to be clear, or one that has future beings pondering the possible meanings? Microsoft Press Store. Get your Windows 10!